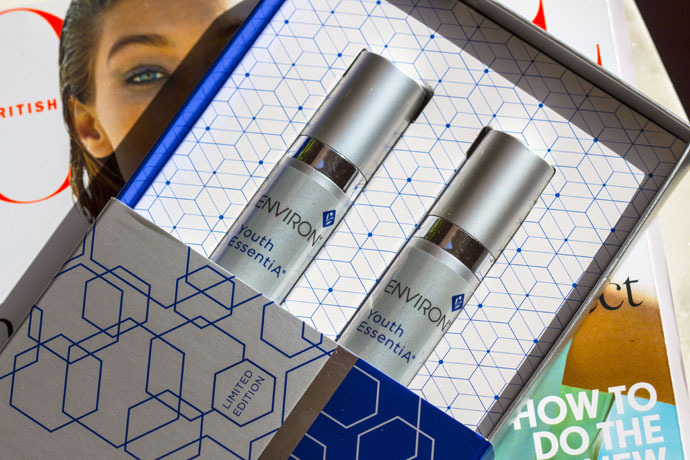 Environ is a South African skin care brand which was founded in 1990 by Dr Des Fernandes, a Cape Town plastic surgeon rated among the top five in the world and an expert in treating sun damaged skin. He was a pioneer in 1980 in introducing high enough doses of Vitamin A in skin care in order for this ingredient to counteract pollution, stress, sun-damage. 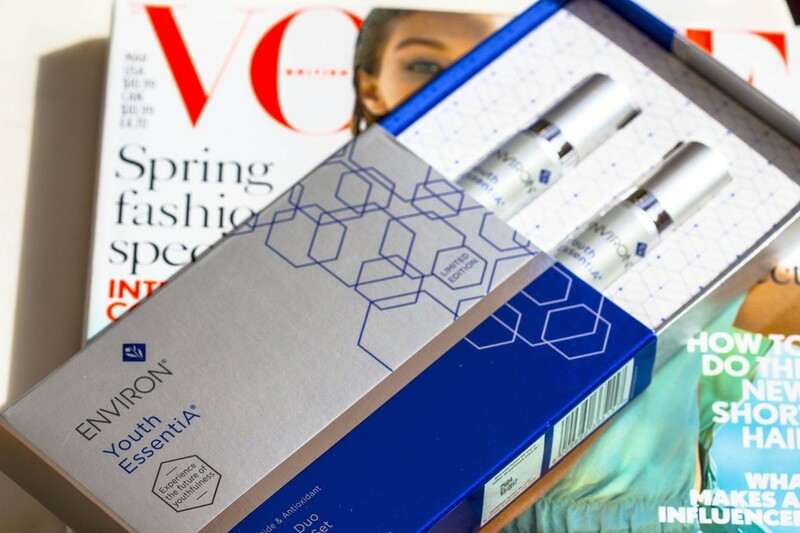 Vitamin A is an essential ingredient in the Environ skin care philosophy. Vitamin A works by normalising skin functions so it corrects all skin conditions. It thickens, stimulates the dermis, and increases the amount of collagen; therefore it slows down the normal ageing breakdown of collagen and elastin. Vitamin A based skin care truly makes a difference for me personally. 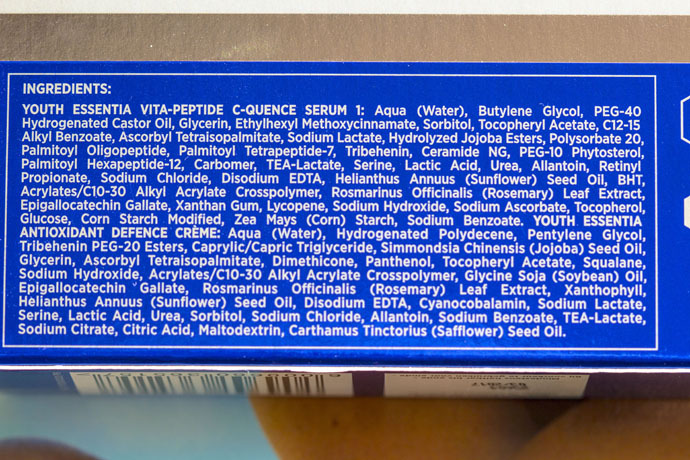 I’m not using it all the time because my skin becomes sensitive after a while so I try to use Vitamin A based products for 3 months and then pause for 1-2 months. I truly believe that this ingredients keeps my skin wrinkle free (I have fine lines under the eye area however no wrinkles at all with 38). Also, during the 3 months period of using Vitamin A based products, the skin is boosted, it’s smooth, it has a healthy glow, some of my fine lines are less visible and the face contour is lifted. Vitamin A is truly efficient and very powerful. 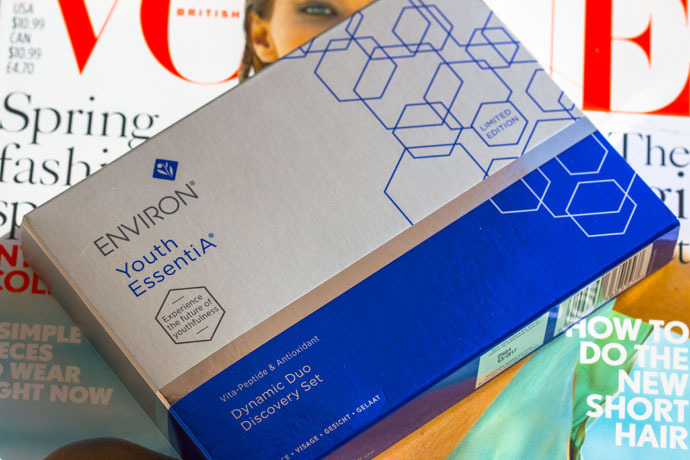 Environ Youth EssentiA is a newer range which consists of several products with different levels of Vitamin A. 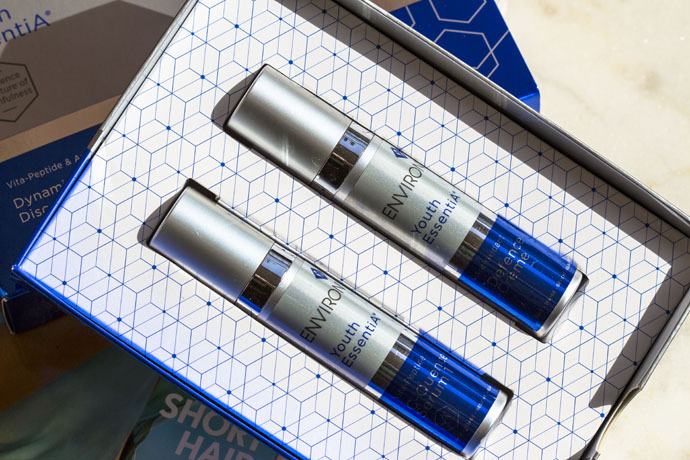 The Vitamin STEP-UP System™ helps the skin get used to the powerful ingredient and that’s why it’s also a range that targets sensitive skin. 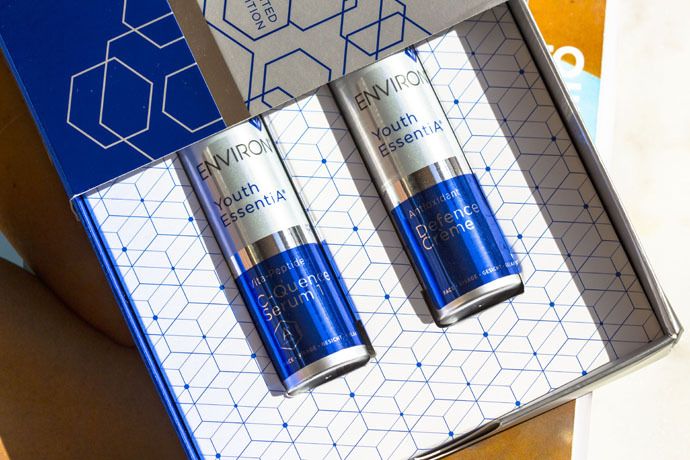 Last year I received Environ’s Dynamic Duo Discovery Set and this kit was my first contact with the brand. 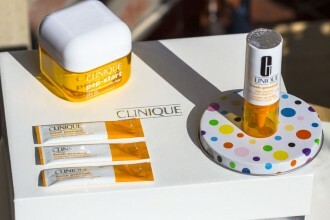 The kit contains the Vita-Peptide C-Quence Serum 1 and the Antioxidant Defence Crème in a quantity of 10ml each. A little goes a long way with these products because the kit lasted 2 months during which I was using them every morning. The textures in both the serum and the cream is identical, a light and lotion-like texture with no smell at all (love this detail). There are two ways in using these products, either mix equal quantities of serum & cream and apply this mixture on clean skin; or the classic approach: first apply serum and then cream. The products are comfortable and hydrating. For my combination skin they are ideal to be used during the cold season. The effects are visible after the second or third use; first, it’s the beautiful glow and the dewy skin. After a while, the surface of the skin becomes smoother and plumper. 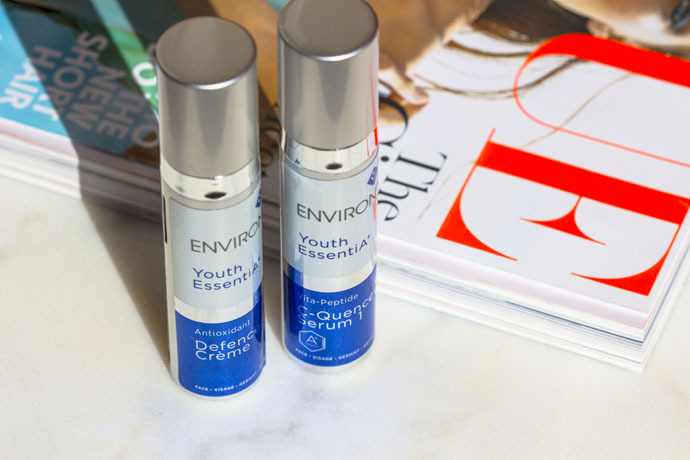 Environ Vita-Peptide C-Quence Serum 1 (€ 115/ 35ml) is perfect for sensitive skin and for those of you who are beginners in using Vitamin A based skin care. 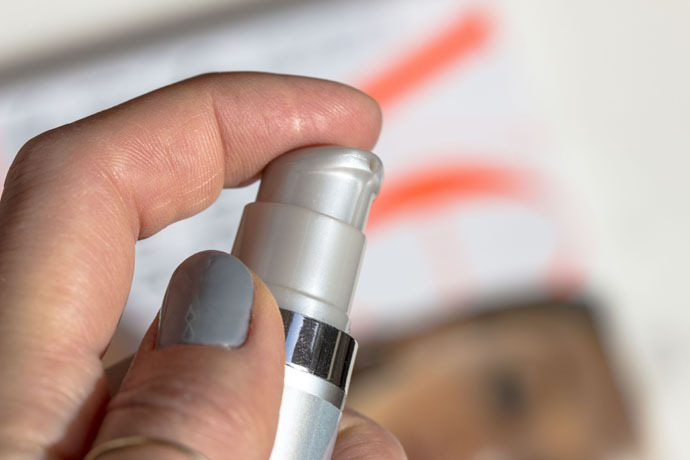 It is a serum that contains a low concentration of vitamins A, C and E as well as antioxidants and peptides and it’s the first level in the Vitamin STEP-UP System™. Environ Antioxidant Defence Cream (€ 105/ 35ml) is great for dry and sensitive skin. It could be too much for combination and oily skin. It assists in combating free-radical damage & helps to keep skin moisturised and feeling soft and smooth. This brand means products that truly work and powerful ingredients. 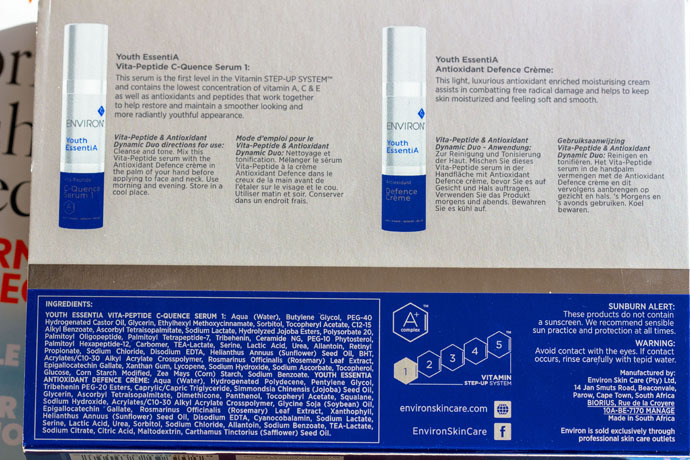 Environ skin care cannot be sold online and it can only be purchased from trained and authorized Environ Skin Care Professionals. Hello and thank you for sharing these interesting products with us. No matter the age, we all need some good vitamin A for the skin. I use retinoids at night, mostly during winter, because my skin is very sensitive.